100 Percent Smoke Free Property. 500.00 USD Penalty for anyone who does not follow non smoking policy. Our property has 1,000 ft. of beach front directly across the street, best picture taking spot of the Mackinaw Bridge. Most rooms have direct access, inside corridors to our indoor heated pool, jacuzzi.We offer a Free Super Start Breakfast. 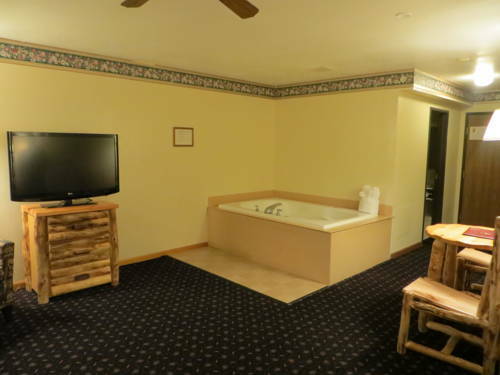 2 Room/2 bath Suites and Jacuzzi Suites available. Party store within one block and restaurant within one block. Tourist shops located within walking distance, boat docks to Mackinaw Island approximately 3 blocks and you recieve free unlimited access to The Pirates Adventure & Emerald Cove Indoor Waterparks with your stay. Property has received 13 awards for quality, certificate of excellence! Discount coupons to attractions and restaurants. Casino nearby. Free access to Pirates Adventure Indoor Waterpark with stay. We allow dogs only, under 30lbs, and we require a 25 USD cleaning fee. The pet also cannot be left unattended to in any guest room at any time. If any questions, please feel free to call us at 231-436-5252. Thank You.